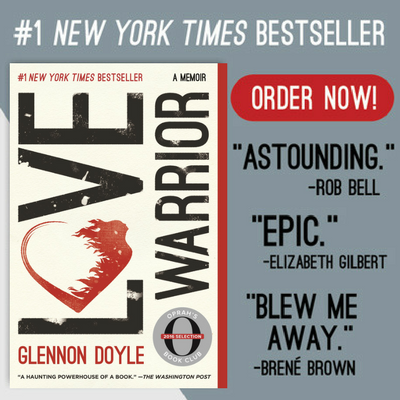 LOVE WARRIOR NOW AVAILABLE IN PAPERBACK! 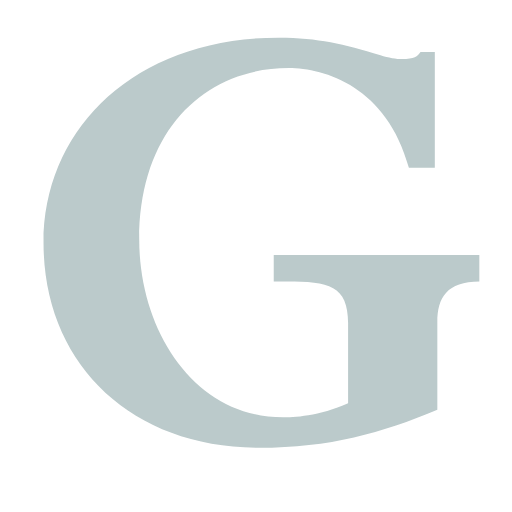 Get G in Your Inbox! The miracles that have unfolded during the past few weeks are going to take me a while to process and weave into stories for you. Stories are better than numbers- but numbers are what I’m swimming in, so I’ll throw a few out there . . . we’ve paid one Monkee’s $1000 adoption costs. We’ve served thirty seven families through 165 Monkees (so far). The requests and offers that have poured in via email have doubled those posted on the blog. They’ve all been granted or accepted. We’ve sent three ipads to kids who need them for therapy. Zero people have asked me if their donations are tax deductible. Checks and gift cards from God knows who have arrived at my home by the dozens. Several thousands of dollars have exchanged Monkee hands. I’ve learned how to make a spread sheet. YES, after tears and tantrums, but I learned. They work, those things. The stories are better than the numbers, though. MIRACULOUS stories about beautiful people abound. For now, I’m keeping them in my heart. Can’t tell them yet, because our work’s not done. Here is what I’ve learned during the past three miraculous weeks. Those who have made requests and those who have offered gifts . . . both groups of people are givers. What we’re doing here- The Truth about Holiday Hands . . . is that we’re not really just helping people buy stuff. We’re not trying to alleviate material poverty. Here is what we’re really doing: We’re alleviating the poverty of loneliness. The poverty of disconnection. The poverty of feeling unneeded and unwanted . . . the greatest poverty that my hero, Mama T, referred to above. And that kind of awful poverty is alleviated by receiving AND by giving. Because when the givers give they remember . . . I am needed. I am powerful. I am capable of Loving my neighbors. There is enough. And when the receivers receive they remember . . . I am loved. I am cared for. I am not alone. I have not been forgotten. There is enough. And that’s why we don’t need to judge whether someone’s particular need is worthy. It doesn’t matter. Because we are not really about meeting that particular need. We are just meeting that particular need in an effort to meet the REAL need. Which is: “TELL ME I’M NOT ALONE. PROVE TO ME THAT LOVE WINS.” We just prove it through a gift card, or a handwritten letter, or a check for $15 dollars or $1000, or a box full of well loved toys or a new ipad or a handmade tea cosie, or an email. So that’s why if somebody tells me she needs a ferret, I’m gonna find a way to get her a ferret. Because it’s not about the gift. It’s about what the gift represents. It’s about Love. It’s about reminding each other that We Belong To Each Other. It’s about proving what we believe: that Love Wins. You gotta prove what you believe to somebody, even if it’s just to yourself. Otherwise your belief doesn’t matter much. *Sweet Jesus, please don’t tell me you need a ferret. Scared. Now, down to Monkee Business. So far we’ve placed about 175 Monkees in Monkee Holiday Families. As of this morning, I still had fifteen Monkees waiting to be matched. Fifteen Monkees chomping at the bit to GIVE. I’ve got you ladies. You are on my trustee spreadsheet. I’ve not forgotten you. This morning, I received a message about a mother of five struggling with cancer, so a few of you waiting Monkees will be matched with this family this evening. Expect an email from me regarding your new Monkee Family. If you have requested help, but have not yet received an email from me matching you with a Monkee family . . . please email me right away at momastery(at)gmail(dot)com. If you already have emailed me, please do it again and be patient with me. It might take me a while to get it all right, but we will leave no Monkee behind. Also- I definitely have (at least) another week left in me to dedicate to this project. So go ahead and get quiet and listen. Listen for the name God whispers into your ear, and then send this post to her or him or them. There is enough. We can help more people and allow more people to help. And to you – If you need: ASK. If you have: OFFER. Become a part of this miracle, one way or another. Finally, I just wanted to say thank you. Being a part of this Love Project is one of the greatest honors of my life. HOLIDAY HANDS UPDATE! YOU DID IT!!! 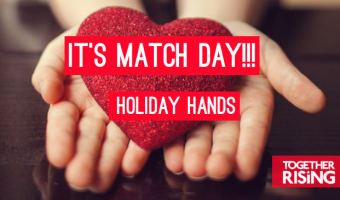 IT’S MATCH DAY – HOLIDAY HANDS 2018!!! 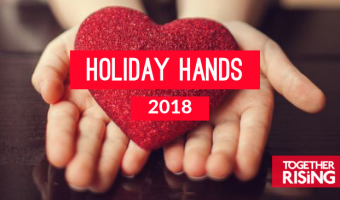 OUR EIGHTH ANNUAL HOLIDAY HANDS!! character, the wonderful Emily voiced by Tim’s wife Helena Bonham Carter. Along with this the music of this movie is also a heart touching. Hi Monkees and Head Monkee!!! Just wanted to stop by and say that the seed planted here (giving at Christmas with bloggers and blog readers) has spread. Another blogger I read had a loose giving project and although I was not part of this here monkees giving project, I was a part of The Bloggess's giving deal. So it took awhile for the seed to sprout and me to get my slow-moving arse on the computer with credit card in hand. But it is done. I think it is so nice that bloggers make this world a much more lovely place. Cheers and Merry Christmas! I wanted to share my story with you about Monkee Kathleen Ermbleton ~~ we were recipients of her generosity of gift cards to help with Christmas and some cute hand-me-down clothes for Ava. I was stressing about Christmas and times have been hard. Too long of a story. Always borrowing from Peter (not paying one bill) to pay Paul (another overdue bill). Anyway, this is Ava's first Christmas. I know she is little and won't remember ~~ but that was not the point for me. I love to give (when I could). People get plenty of my time but I love to give gifts. So anyway I was worried about my daughter (who is a stay-at-home young mommy and lives with us with Ava) and her inability to get gifts for Ava, let alone our financial strain. In steps Kathleen with a package to us. I cannot thank her enough. I handed over the goodies and gift cards to Nicolle. Ava will be getting books, little learning toys and what have you, for her first Christmas, things she will enjoy for a long time and books she will keep forever. I still had a bit of a hard time accepting help and was suprised. I think I sent Glennon one of my whiney rants that I have now and again, I am not sure how I became a recipient. But I really felt the love from Kathleen and how happy it made her too. Love you Kathleen! Love you too Glennon for what you do. Happy Holidays Monkees! we got your card. I'm still so overwhelmed by the love you and the monkees have shown me and my family — while the money does help us so much, what really helps is knowing that even when I don't feel like I Can Do Hard Things… I know that We Can. Somehow things are going to work out. Even one of my husband's friends… someone I've never been particularly close to… has reached out to us in a huge way. A Monkee-in-hiding! Hey G or iphone wanting Monkee, I haven't gotten an address yet. My dad is working on getting all his pics off so you don't have to look at a million pics of his grandkids- however cute they are. 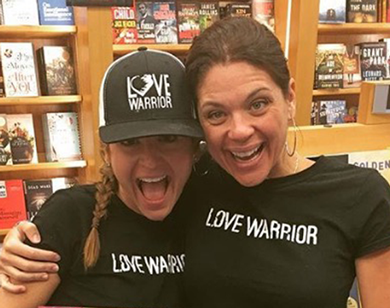 I find myself wanting to tell the whole world about Momastery! Like jump out of bed this instant and start a new religion. But the world doesn't need another religion, it just needs the living truth. And that is what we have here. Looks very similar to the living truth witnessed 2000 years ago. "Thy kingdom come, Thy will be done." Friends, you have brought heaven right down to earth…yet another one of God's promises fulfilled! Thank you all for living truthfully. God bless you! Help on the way. Hugs to you! Both Amy and this last precious mama have been matched with Monkee Families. I am sad to say that this year I find myself quite in need. When my son was born almost two years ago, he had health problems that prevented me from returning to work on time. My job was given away and I was left bills I couldn't pay. We lost our apartment, and had to move into a housing program. We have been struggling to get by and it's so much harder this time of year. We have gotten almost a foot of snow but my son still has no coat and we only turn the heat on in spurts because our home is in a basement and the heat leaks right out the windows. I am touched by all of your generosity for people you have never met. I am not very good at asking for help, but I thank you for taking time to be here. I got you girl…I am so sorry I missed you somehow. I'll make it up to you, love. Hang in. MONKEE IN NEED OF PHONE!!!! please email your addy to Laura!!! (Simon's mama) YAY. Happy G.
Your comments made me laugh, smile and cry. Yes, you're the right Erin and I love you too. I wish I could have done more, but I'm so incredibly delighted that you were so surprised! feel like we could replace it. work for a couple of months now but probably not more than $25. Momastery. I can't ever thank you enough for that. Does anyone have an older Iphone for this lovie???? I just wanted to send a quick thank you to you and Dena who sent the box to the Elliott family. It was greatly appreciated. Nicole was very excited to receive the toys and the money which will be used to help make the kids Christmas brighter. I would like to join your monkee group and if you have a family I can assist, please let me know. 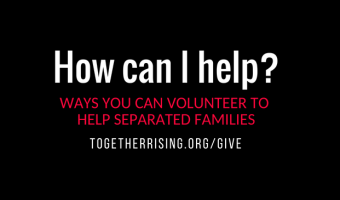 I read your blog that you have a lot of volunteers waiting to help, but I know you can always use one more. OH! This is sooo much fun, so great, so filling. Just love every minute of it!!! What a great way to lead up to THANKS~GIVING! I received wonderful gifts from your friends and I was so touched.Thank you very much for reaching out for me, words cannot express my gratitude. Love can really conquer anything because knowing that I am in other people's thoughts and heart made me feel not alone. I lost my mom but I have gained family in America and I am grateful. May your holidays be filled with peace, love and joy! "In seeking happiness for others, you find it for yourself." I received a big ole box in the mail today from Shelley from Washington. She was unbelievably, jaw-droppingly generous, and I am stunned and amazed at God's grace. And I feel like I'm almost kinda looking a gift horse in the mouth, in a weirdly different way, when I feel compelled to ask…are you sure this stuff is for me? Am I the right Erin here? I've read/lurked at Momastery, but I haven't commented in a really long time…how did I qualify for this gift? I hope I'm not being insulting here, and my friends joke that I am TERRIBLE at accepting help, and I know I gave you my address and stuff…but Shelley is seriously blowing me away here. I have a tall order to pay forward. Um. Not really sure what the point is here, but some very loud portion of me is very concerned that perhaps Shelley meant another Erin…is there another Erin that she meant? I would hate to get someone else's Xmas present…. Right Erin. Definitely the right Erin. Feel the love. Can i post this very funny message on the blog? i wont use your full name. also, your friend nominated you because she loves you. You are too kind. Sorry I'm a dork, and feel free to use it. I can't understand how this grace came to be, but I'm so blown away. I love her too, whoever she is. This has been a veritable FIREWORKS DISPLAY OF MIRACLES!!!! …as Shel Silverstein said, "…the hopers, the pray-ers, the magic bean buyers!" I have a "We Can Do Hard Things" sign now, thanks to Kristi's amazing generosity, but watching this all unfold has made me all, "What? What hard things?!" There is just so much beauty! Elliot, your paintings are gorgeous. God Bless Us, Every One. Thanks for the FreeCycle tip. They're great. This is all happening. Thank you! I feel like I'm in a Christmas Carol at the very end (the best part). Higher Ground is an interfaith day center for people infected, and affected, by HIV/AIDS in Greensboro, NC. I started volunteering there when I was 17 and remain close with the director- a glorious soul named Mark. Higher Ground set me on my path and every day I am grateful for how they all poured their love and hope into me for years to get me where I am. Higher Ground is like magic. It's this wonderful, cozy, welcoming house. There are groups sometimes in the morning- AA and NA and a men's group and and women's group. Churches and synagogues have one day a month (during the week) where they bring lunch to the house. This is no soup kitchen, "dole out the food and feel moral doing it" place. Everyone eats together. Everyone sits together at long tables and checks in about life and love and struggles and joys. A lot of the (mostly women) church groups are led or encouraged by a member who is also still a grieving mother. Afternoons are full of art therapy and writing workshops and, when I'm there, hikes in the nearby state parks. The place is rich with grief and joy and love and remarkable feats of graciousness crossing race and age and class. Every year at Christmastime I send Mark a gift card for Target. 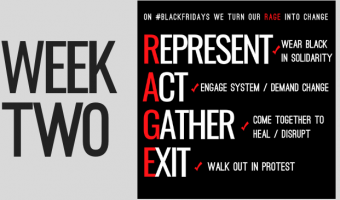 At the holidays, everything seems to get worse for people, and especially people with AIDS. People lose their homes and lose their medications. Abusers reemerge, and poverty just feels so much worse when it is Christmas. So every year I send a gift card so Mark can take care of some of the need that comes up. New shoes here, good coffee for the house there, extra food here, presents for munchkins there. So little goes such a long, long way, and gives Mark a secret tool in managing all the holiday need. But, this year I don't have extra. None at all. And it is breaking my heart, and making me feel… poor, to not be able to give to Higher Ground this year. So if there are any Monkees who do have a little extra that could become a Target giftcard for Higher Ground, I would be a very happy woman indeed. I wrote this to Glennon, but I can put it out here as well. I can't contribute money but I have boys clothes size 2-3 that are in terrific shape. If anyone knows a family who these might help please let me know. Ashley C… I can't believe you are so kind. Thank you from the bottom of my heart. I will email my contact information to Glennon. About 10 pounds of Legos are packed up and ready to ship to "Anonymous L"…just need address! Hi Glennon, I simply MUST do something!! Put me to work! I would say we are in the "just a little more than enough" category this year so it may not be a huge thing but in reading all of this it makes my heart so happy that I just MUST get involved. Please let me know what I can do!! Hi Glennon- love this concept and would like to give. We just found out we are pregnant with baby #2 – a girl this time – so I have plenty of infant – 2T boy gently loved boy clothes to give. I already cleaned out the clothes once before storing them, so I can attest these are are clothes that are gently loved, but not too loved. :-). Please let me know how/if I can help!!! Just so you are aware of the miracles happening…We already have 2175 committed to the W's beds. Enough for new beds and mattresses for all. We still need bedding, and maybe dressers, clothes, toys? I'm dreaming dreaming dreaming. What beautiful things are happening here! Amazing, encouraging, awesome. I've been thinking about the tax deduction thing since this posted. Having never made enough money to warrant itemized deductions, I have no personal dog in this fight. However, there are financial AND philosophical reasons to take a charitable deduction. Many people disagree with certain government spending, so giving to charity and then taking the deduction is one way to select where at least some of your money goes. But in the end, I hope we can extend the same grace to the givers that Glennon has taught us to extend to the receivers. That it's not up to us to judge their motivation or whether their gift is worthy of being deemed charitable. It's a gift. And gifts are beautiful things. This is a family the Monkees are working hard behind the scenes to serve. Junia brought them to us, she works for an organization that serves the poor in Atlanta. One family she serves has six children being raised by a single mother. They have nothing, all seven of them sleep on two dirty mattresses on the floor. Our plan is to buy all seven of them brand new beds, mattresses, and bedding. "I met the W…s this summer during our camps. We did 10 weeks straight of day camp that included academic help, fun activities and a sort of vacation bible school feel. J, J, N, A, and J all came almost every day the last 4 weeks. It took me several weeks to figure out that they were all related (and I had all the paperwork for all of them…shows how organized I am. ha). They are a rambunctious bunch. Always moving. J is the oldest. He's 12 now. He came in with a pretty reserved attitude. "Too cool for summer school". He's really responsible and towards the end of the time with us during the summer really came alive and we even sent him on an away camp to stay in cabins and play in the woods and swim and all that jazz. He loved it. He came back grinning ear to ear. J is 10. I think he fights the hardest and really needs one on one attention. He gets really angry so easily and for things that don't seem to make sense unless you really listen. He has told me he hates me, our program, and that everyone is against him. I've had to drive him home so many times. The last time, after he settled down, he got out of the car and said "I'm sorry for saying I hate you. I didn't mean it." J hates homework and is probably several grade levels behind. But, when J is happy, the world is a beautiful place. He can be the sweetest most thoughtful boy. J is 8. He's a typical boy always running around and getting in trouble. He has to constantly be reminded to slow down. And, sometimes to get off the floor. He tends to slide around on it sometimes. J has a lot of trouble reading and got held back to 2nd grade. He's a great helper and can be quite the comedian. N is the only girl in their family and is 7 years old. She is a sassy little girl and definitely speaks her mind. She has grown a lot from being one of the biggest troublemakers in her class to getting "star student". She really smart and told me the other day that her grandmother told her "never let anyone tell you you're not something. you just gotta do well in school and ignore them." Nautica can also fight if she needs to. A has the sweetest little angel eyes with a mischievous grin. He tries really hard to follow directions but sometimes he just can't help but race across to wherever he's not supposed to be. A also struggles with reading and loves to play soccer. R is the youngest. I just met him about a month ago. He's 4. Today we had to discuss putting on our seatbelt for five minutes before he actually listened. He loves snacks. He also says the funniest things. I talked to their mom today. Her name is T. I honestly don't know a whole lot about her yet. I know she has talked with their school principal. I feel like I wear the hats of administrator, social works, counselor, babysitter, and snacklady. I'm hoping to talk with the principal again tomorrow so that we can work together to make sure, like you said, that the help is appropriate and empowering. Temika said today that she would so appreciate whatever can happen. Regarding my own "I need work" post, if you click my name, my watercolor website comes up. So if anyone wants to support the arts (and give a tremendous Christmas gift), it's easy to get started. Nia, I do a lot of Freecycling up here in Baltimore. People give away – GIVE AWAY – the most amazing things. Just this week I've seen enough free furniture to furnish most of that family's house. What I'm saying is that maybe if you can hook into your local Atlanta Freecycle network (try googling Atlanta Freecycle and see what comes up), you could find enough beds for the family, and also put Monkees to work providing bedding, lamps, etc. to make it HOME. 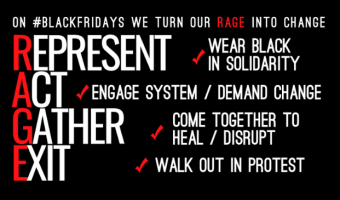 Bread and Roses, as they say. Tenthousandplaces, thank you for posting. Reading all the posts from others with desperate situations made me feel a little awkward about my original post. But you took it and ran, and that makes it a Good Thing that I posted it in the first place. I hope you get some helpful leads. Anonymous "L", I would love to share some of our Legos with your boys! Post your email and I'll follow up to get your address? Or, I should say, my desire to give their boys their Christmas wish has gotten the better of my pride. I think that's the right way to phrase it. I'm hesitant to post, but my pride has gotten the better of me. My four and five year old boys have their heart set only on Legos, which we simply cannot afford this year. Does anyone out there happy to have even used or extra sets that are available? This might show up twice because I don't know how to use my husbands phone… But nia what part of Atlanta is the family in? I am in the junior league of gwinnett and often we support families like this. Even if it's not the same county, I might be able to help with resources or donors. I am ….blown away…by what the monkees have been doing. Your last update…I started crying. This is incredible. I work for an after school program that serves kids that are living in the worst part of Atlanta. There are so many needs sometimes I get lost, but what you said about relationship. That's powerful. That's what I hold onto every day, because we don't have the resources here to help so many of our kids. There is a family that has grabbed my heart and held on though. The Weems family has 6 children, all taken care of by a single mom. Mom is barely making it. They have a small house with no furniture except two dirty mattresses on the floor. The kids are underdressed. There is often no food. I've been picking them up on the weekend for church and to eat and just to love on. But, if there are monkees out there who would like to give, this family would be so filled by receiving through the relationship we have with with them. I want to buy bed for the all the kids. I have no idea how much that will cost. I priced them at IKEA to be close to $2,000. But, if I can get them used, then maybe it'll be less than that. Thank you for being the link between so many hearts of compassion. Monkees- want to make this happen for this mamas. They deserve BEDS, these babies. Ideas??? After a few missed attempts I received an amazingly generous gift. I'm still pinching myself. I can NOT wait to show up to my sons doctors appt next and zhow this generous gift. THANK YOU seems so small. I feel so loved and blessed. Thank you mr. S.
Do you have a link to their Food Tidings page? I just PCSed from Norfolk, putting Monkee Mommy's needs out there for my VAB/Norfolk/NAB Little Creek friends. Do you know if they're in touch with Fleet and Family Support or Navy/MC Relief? Dear Monkee "by way of Washington DC"
I just wanted to let you know that we received your box today and we are beyond touched and humbled by your generous gift to our family. Every time I dress my children in the warm clothes I will tell them what a great place our world is, that we belong to each other and need to care for each other. I will tell them that a Monkee that lives on the other side of the country loves them. With the gift card, we will buy Ben the big Tonka truck his Papa has been looking at and Emma will get the dollhouse that I have been yearning to buy her. They will also get books and puzzles and other things we need for me to do "Mama School" with them. I can't wait to teach my children! We will also get them new shoes and boots to keep their little tootsies warm this winter! You have brought peace to parents who love and adore their children and want to give them so much. Beyond the material things you have given, you have given my husband, who was raised in Haiti, the knowledge that people keep their promises, that there are still good people in the world and that good things happen to good people. That is another gift! Mere words cannot convey our gratitude to you and your family for giving this gift to our family. I will never forget what you have done for us. Just wanted to pass on a little more information about the mom of five struggling with cancer. 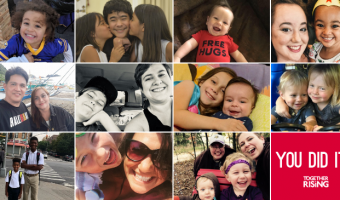 Her 6 year old daughter has been diagnosed with Rett's Syndrome http://www.nichd.nih.gov/health/topics/rett_syndrome.cfm, and her 9 month old has Down Syndrome, and on top of that she was diagnosed 2 months ago with stage 3 breast cancer. She just received the news (days ago) that she will have to undergo chemotherapy, radiation, and hormone therapy. Her husband is in the military and does not make much money. They have no local family. The family shares one car that will be used often to transport her to her treatments which is not close to her home, and gas money will become another issue. She has received very little support on a Food Tidings page that was created for her family. Like Glennon said, this family, this mother, needs to feel loved, that she/they are not alone. They are struggling. They live in the Virginia Beach area if there are any local Monkees who would like to make meals once she starts her treatments. This is such a blessing!! Real answer to prayers. In the first post Elliot asked the question I'd been wondering about: "What I really need is work. Can I post about it here?" And Glennon said yes. Actually, she said, "Post whatever your little heart desires to post." =)Thank you to Elliot for being bold enough to ask! A few years ago the chronic migraines I've had all my life got a lot worse, and for a while I wasn't able to work. After a ton of doctor appts, trying dozens of meds, acupuncture, bio-feedback, vitamins, etc., I finally found meds that work for me, and the migraines have gotten a lot better. But I have also learned a lot about the kind of lifestyle I need to live in order to be healthy. I have had a lot of success getting clients through word of mouth, but I still am only at about half capacity. The monthly bills are getting paid, but older bills from when I was too sick to work are still looming. If there are any Monkees out there looking for editing help, or if you know of anyone who might be, could you pass along my info? My website is http://www.eslediting.org, and my email is [email protected]. Glennon, you learned to use a spreadsheet! The Monkees — ALL the Monkees — helped you do a REALLY HARD THING! In the middle of LYME! Woo Hoo! I've often thought about that whole tax deduction thing. Before it was in the IRS code, do you think people just took care of whoever needed it because their spirit was moved — and that maybe formalizing the deduction took away some of that kind of magic? This is ALL so amazing! I laughed at myself because I started crying (here at my office desk) when I read the TITLE of the post in my blog roll! Before I even clicked on it, the tears started flowing! My crazy girl emotions knew what was coming, so they just gave it a head start. Momma mia, I lost it when reading the post! Ha! Amazing. Praise the Lord. this year, like most years we seem to have "just enough". we have enough to get our kid and few close family memebers something, and to spend some quality time around a nice family dinner, but other than that things are tight, and we just don't think that we have anything to give financially. but i want all the Monkees to know that just being able to witness this outpouring of love and gratitude means so much to me. i am so proud to be a part of such a loving, caring and kind community of women who just want to love and be loved. 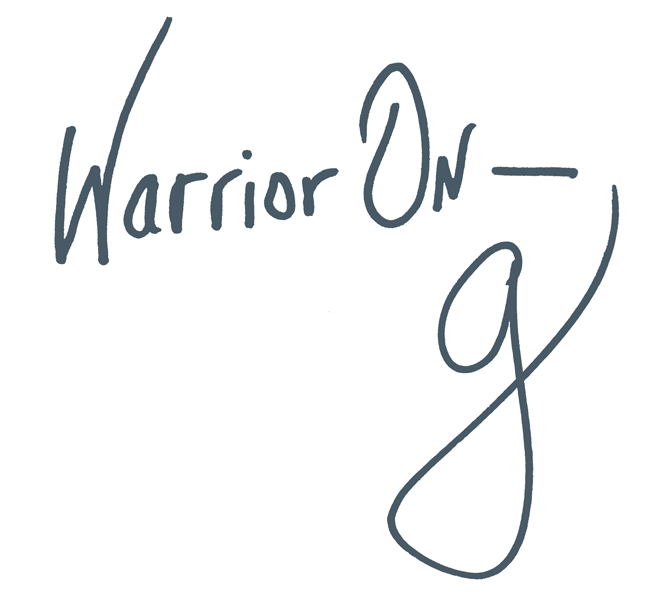 thank you Glennon, for letting God work through you in the Blog. and thank you to all the Monkees out there who are responding to God's call both by giving and recieving. this truly makes my heart happy. What a great idea… I know that God is using this site and the amazing people involved to help so many people. I recently became aware of this site and the Facebook page through a friend. When I read about the Helping Hands Project I did not request any help at first because I was just a “newbie” BUT God keeps putting it on my heart. I just sent you and email asking for help for my family. This has been a rough couple of years for us as my husband has been out of work due to becoming disabled. I am working as hard and as much as I can to pick up the slack but it never seems to be enough. Thank you for allowing God to work through you and this site! beautiful as always G. so proud of you. Perfect! This is exactly how I feel, and the reason I don't choose to judge a person's need before I choose to give. Because it's not about their physical need but their emotional and spiritual need. And no one is better qualified to judge what will fill that emotional need than the person who has it. Thank you for bringing us all together in such a beautiful way this season. I'm moved beyond imagining. Love the Mother T quote (and Mother T is also my hero). Love the stories. Love that you've gotten to the heart of the matter: All of us need to know that we're not alone. Thank you. Glennon. Here's what I do feel prompted to do–what I commit to doing. I'm reading through the stories, and I'm praying through them. I'm bringing their needs, their praises, their circumstances to God. Yes, I believe that He doesn't need me to bring them. But He loves it that we're entering into their stories and loving them enough to talk with Him about their needs, their pain, their joys. So I'm praying. Glennon, you're beautiful. You are not alone. You are part of something BIG. Be the first to hear about events & other exciting news! Sorry, no Tweets were found.